Your first 100 days in a new leadership role are critical to the success of your mission, your relationship with your new team, and your career. Turnover is high among new leaders who "didn't work out" and the costs to them and their organizations are dramatic. The solution is for every new leader to have an "onboarding" plan. This updated and revised third edition of the bestseller The New Leader's 100-Day Action Plan delivers expert guidance to prepare executives for their new leadership roles, accelerate their results, and reduce turnover. Explains why your new job doesn't start on "Day 1" but on the day you accept the offer--and how to use the valuable time before "Day 1"
The third edition also includes a new 100-Hour Action Plan for crisis situations, which has been adopted by the American Red Cross. The new edition also explains how to use social media and other communication tools to reach and motivate your stakeholders. Discover the right approach for your new role and engage your new colleagues by fully understanding the unwritten rules of the new context. 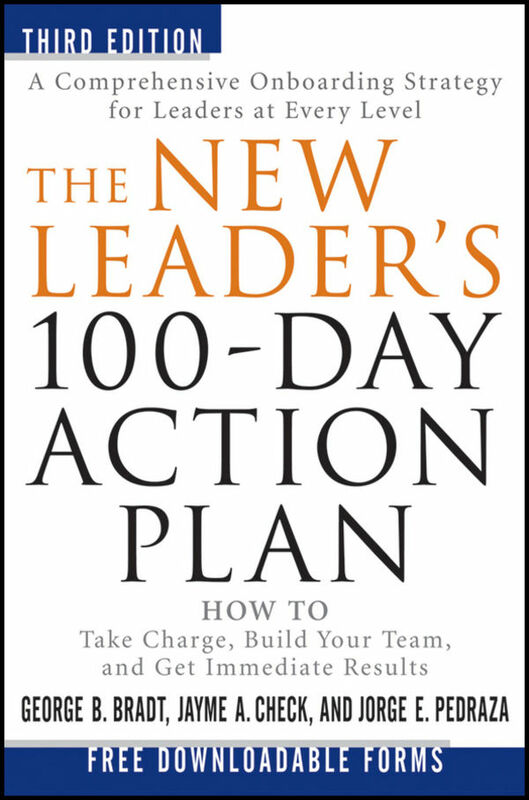 The New Leader's 100-Day Action Plan helps deliver better results faster.